Okay, so I may be (figuratively) hung, drawn, and quartered for this one. Alright … alright … I’m being dramatic. But … I’m about to suggest something that will probably go counter to a “natural hair” great commandment that most have probably read over and over again. DETANGLE FROM TIPS TO ROOTS ROOTS TO TIPS. See, what had happened was … I’ve been detangling from TIPS to ROOTS for forever. Aaaaaaand, it has served me well for the most part. But, the last few wash days, I started breaking this rule. Let me premise this by saying that I primarily use my fingers and only pull out the Ouidad Double Detangler once my hair is pretty thoroughly detangled. However, my detangling sessions were becoming more tedious and lengthy due to the length of my hair. I would slather on tons of conditioner, but starting from the tips resulted in me having to work the shed strands in each section down the length of my hair over and over … AND OVER again. (Please excuse the possessive “natural’s” that should be a plural. I began to realize that the worst matting was occurring at the roots of my hair and that if I loosened the tangles and shed hair there first, it was taking me less time to detangle, and less time = less manipulation. The trick of it is that I don’t finger detangle DOWN the length of my hair first. I detangle by pulling the strands APART. I’ve seen this referred to as “wish-boning” since you are pulling the strands apart like you would a wishbone (but more gently, of course). This provides space in the hair to allow shed/broken strands to glide out and it also helps loosens knots rather than tightening them. So, I work the strands apart at the roots, THEN I pull loose hair out of and/or down my hair. Now, I definitely wouldn’t suggest trying the roots to tips approach with a comb as you may end up with more hair in it than on your head. But, if you finger detangle exclusively or prior to using a tool, than you may find that the roots to tip approach hastens the end of your detangling sessions. And, if you so desire, you can use a comb or brush from tips to roots to polish off the job. Do you detangle from tips to roots or roots to tips? What techniques have eased your detangling sessions? I can come out of the closet now as I have been doing this method for a couple of months. Thanks for taking the first step! I have been doing it from root to tip from the beginning. I tried tip to root but felt like it was causing more stress. I have to admit most of the time I’m using my seamless comb. I also use the wishbone method but nine out of ten, it’s my comb. I guess it proves you have to do what works best for you. Thanks for speaking it into the atmosphere. We would both be on the chopping block! I’ve been detangling from the top down forever. My hair tangles at the root mostly so i find when I start there first I don’t have to go over the section again and again. I do a mix. By fingers, I will go in on my roots first. Once I feel like my roots are ok and I won’t rip them out, I’ll go in with my comb. This isn’t always the case but it happens frequently. “I began to realize that the worst matting was occurring at the roots of my hair ” This statement is so true. I’ve noticed for myself, because of the matting, I can’t wear twists for more than a week, or it will be a terrible detangling session. I may give this a try, before going over it with my wide tooth comb. Thanks! Maybe because I don’t have as much length as everybody else, but my hair doesn’t tangle that badly. I just wish I could stop shedding like some pound puppy. Also, no matter how kind I am to my ends, when I wear my hair out (twistouts mostly), the ends of my hair web together and feel very rough to the touch. Do I need to trim? Or up the ante when it comes to keeping my ends moisturized? Hey Tracy!! You may need to trim. But, have you tried my goat milk conditioner? It may help with both your shedding problem and your dry ends. I know that it did for me!! Moisture is definitely critical and if you aren’t DCing every wash or at least 1-2x a month, I would definitely suggest you try that. I think wash day pre-pooing and DCing are critical for really moisturized hair that sustains moisture. HTH! Do you really comb from root to end or just comb the root to loosen the matting and shed hairs? Because I just cant see combing from root to tip being alright. Also, perhaps you have too much buildup causing matting. Do you co wash/. I have read that some clean their scalp with sea breeze or diluted acv. hello again. curlynikki.com posted this exact blog. you still own this site right ? Yes. I’ve been a guest blogger on her site ever since I started this blog. You were just mentioned at a workshop in VA by the Curl Whisperer regarding the red in yah hurrrrr! tee; what red in skill’s hair ? The red streaks from her henna applications. Hahaha! Tameeka is my girl :)! Hi Tee. Someone shared this and a petition to amend the bill with me on FB and I shared it on my FB page twice and signed the petition. 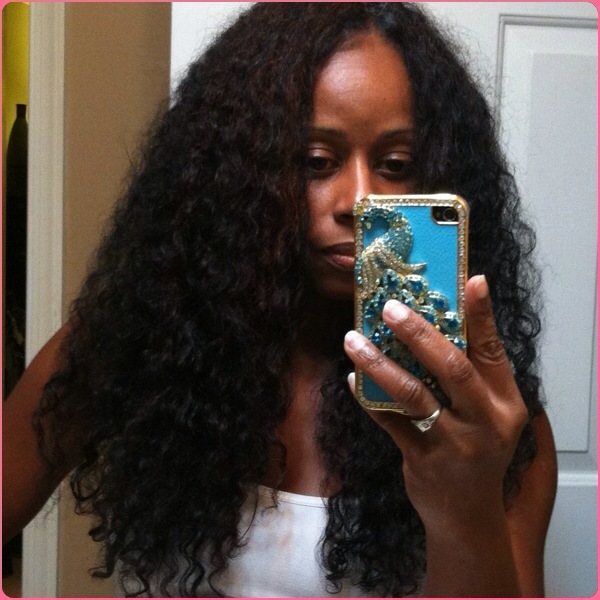 The Mane Objective, BGLH, and CurlyNikki also posted blogs on it. But, I don’t think they shared the petition, which needs 100,000 votes to be considered. I’ll have to check and if they didn’t, I will. If the hair gets very tangled, matted or knotty-you CAN’T start at roots! In fact conditioner can’t even help. Because detangling is really a technique in itself, we always have to consider the issue of different hair types and textures. Finger detangling from root to tip is good, but it must be done in conjunction with the right products and combs. Wet detangling that way is is good for minor tangles. But using water & vinegar on tangled matted hair is not always a good option no matter which way you start. Dry detangler products like the Take Down Remover cream soften hair immensely and make it easier to save you hair and time. We specialize in detangling hair that is severely matted or tangled. I first saw this post on Curly Nikki, but wanted to come here and leave a post to thank you. I too have been detangling from root to tip just cause it felt right. I work the tangles down the section of hair and go with the flow from there. I feel like I have different detangling techniques depending on the previous hair style. 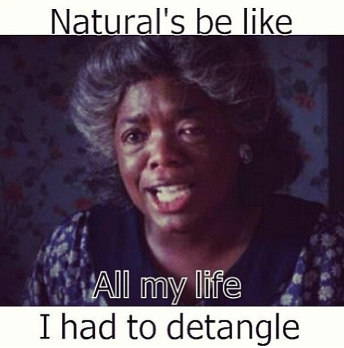 That is what rely drives my detangling session. Oh and I typically start with my fingers then use my comb to finish up. It’s all in what works! Thanks for sharing! Thanks for this post. I have noticed that my hair is more matted at the roots and have been considering switching up my method. This post was my confirmation. 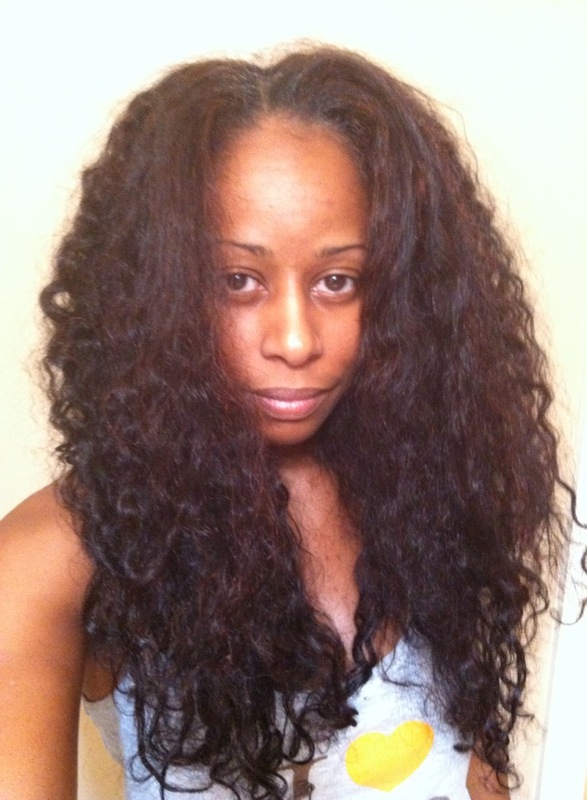 Pingback: Product Review: Silk Elements Leave in Detangler | Get your Sizzelle on! Green Smoothies: Frozen Veggies Better Than Fresh? Want to be notified when new articles are published?! Then follow Hairscapades now! !